Roberto Fosenca once again did not disappoint the audience at Jazz à Vienne. 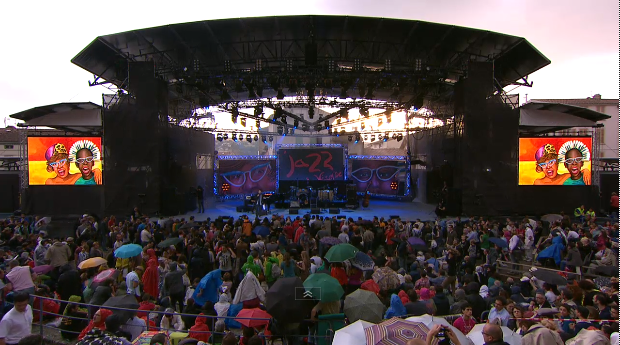 Despite the rain, the audience remained stoic to enjoy one of the best concert of the European tour 2013. Dailymotion streamed the concert and if you missed don't worry becuase you can watch it here.